Enforcer J.T. 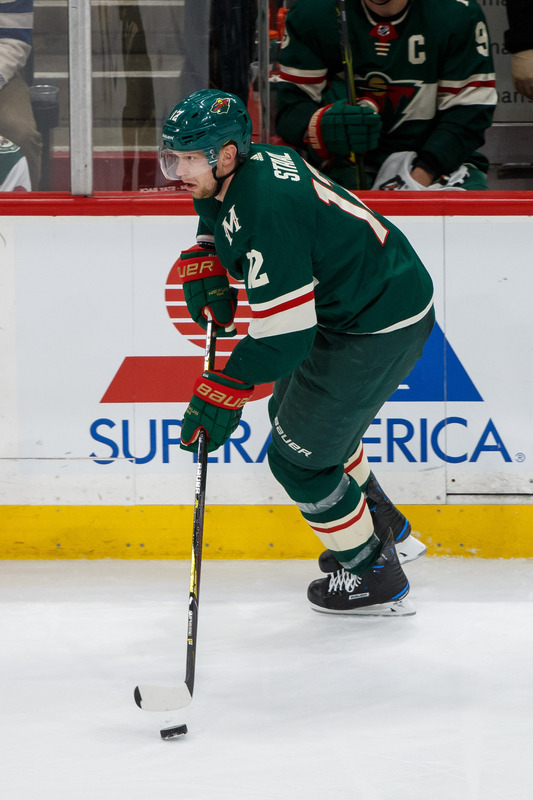 Brown is heading home to Minnesota, as the veteran forward has signed with the Wild. The Athletic’s Michael Russo reports that it is a two-year deal and adds that he will make $675K this year and $700K next year for an AAV of $687.5K. Brown spent 2017-18 playing for two teams as he began the year with the Tampa Bay Lightning, where he had played for the previous five years of his NHL career. This year, with the Lightning overflowing with depth and his role declining, Tampa Bay placed him on waivers, hoping he could be sent to the AHL, but was claimed by the Anaheim Ducks. He played 23 games for an injury-ravaged Anaheim team, producing three points. 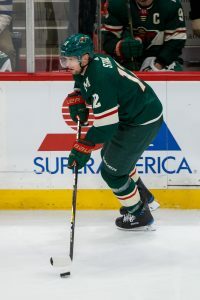 With Minnesota, the 27-year-old should provide more depth for the team’s bottom line, which Minnesota is re-designing. The team already locked up bottom-line center Eric Fehr, signed veteran Matt Hendricks and allowed veteran Matt Cullen to move on to Pittsburgh. The Anaheim Ducks claimed J.T. Brown off of waivers Sunday and placed Logan Shaw on waivers to make space for him, according to Sportsnet’s Elliotte Friedman. Brown, who was placed on waivers Saturday by the Tampa Bay Lightning, will now join the Ducks in hopes of providing some bottom-six offense for them. Brown played sparingly in Tampa Bay, who was looking to free up roster space so the team can audition some of its top youngsters from their AHL franchise. They 27-year-old has spent six seasons with Tampa Bay, but has seen his playing time drop to an all-time low of 9:22. He has played in just 24 games for the Lightning this year, often being a healthy scratch. He has a goal and three assists on the year and might be best known this season for raising his fist in protest during the national anthem on Oct. 7. Brown is the second Lightning player to be lost to waivers this season as they lost Gabriel Dumont earlier this year to Ottawa. The 25-year Shaw, on the other hand, has seen a significant amount of action this year, mostly on the team’s fourth line, as he’s played in 42 of the team’s 44 games. However, with just two goals and six assists this year while averaging 11:29 of ice time, the team hopes he might clear waivers and they can keep him with their AHL affiliate.